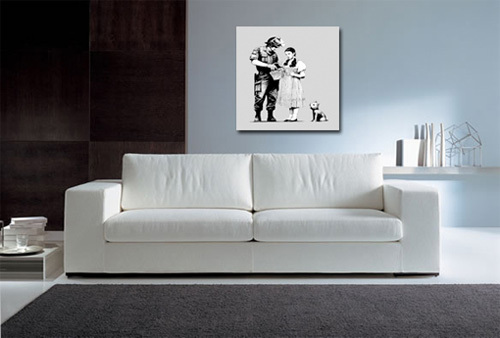 Want this Banksy Art in a different size? Check our sizes and prices. Banksy's fusion of graffiti and stencil art with pop art has become the new "it" thing in the art world. His art isn't held inside any "main street museum" either, its on the streets, factory walls and bus stops: a part of the world they were inspired by. 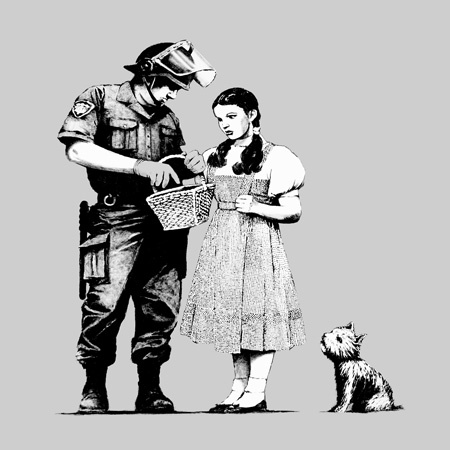 Want your Banksy Stop and Search canvas in a different size? Check our sizes and prices.